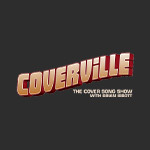 Coverville 1096: The Villes are alive with the sound of Covers. And Sam & Dave. And Indie Hodgepodge! guy is going places and I hope to be there when he arrives!